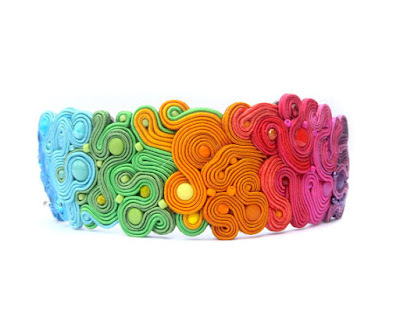 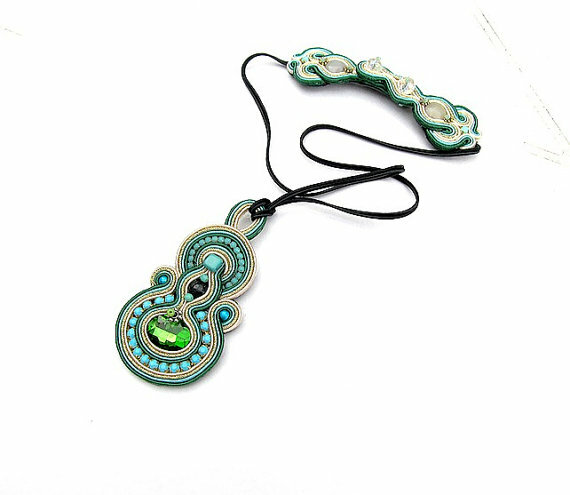 The soutache jewelry making technique was developed by Dori Csengeri way back in 1987. Since then many talented jewelry designers have mastered it and created some distinctive work of their own. 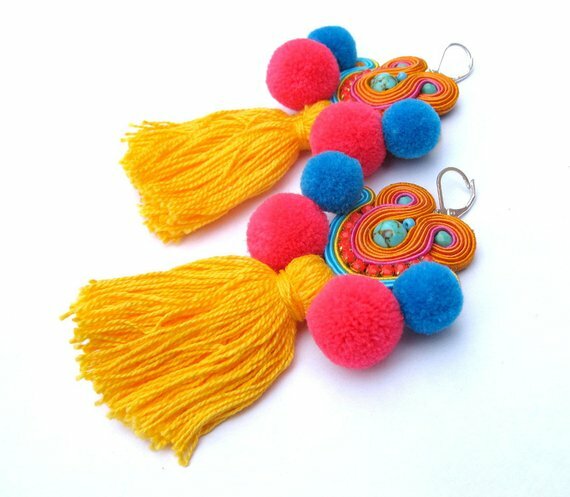 One such artisan is Polish designer, Joanna, of GiSoutacheJewelry (link no longer works). 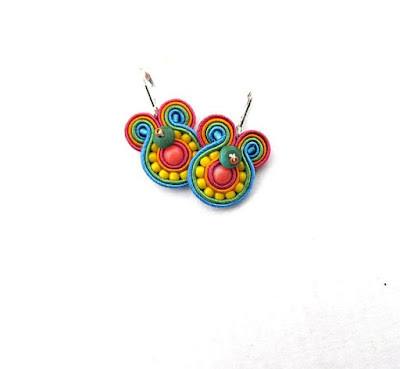 Hers is colorful festive collection. What makes it so is not just her wonderful use of soutache and beads in every color, but with pom-poms tassels and fringes added, you could say it is time to party! 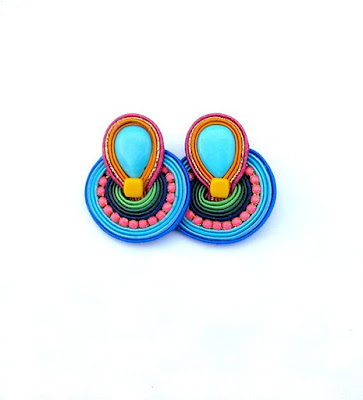 Her pieces are meticulously made with lovely leather backings. 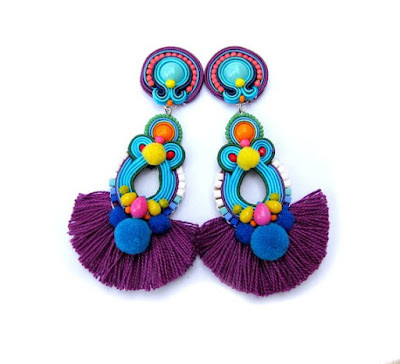 She is also able to create small earrings all the way up to statement earrings! Such a happy style. 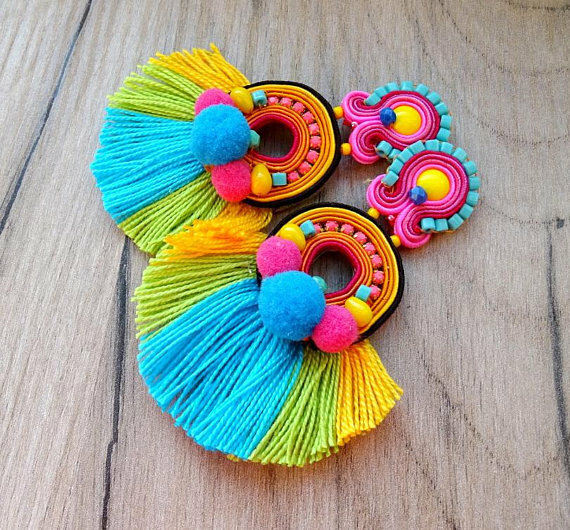 Nothing like wearing colorful pieces to lighten one's mood. 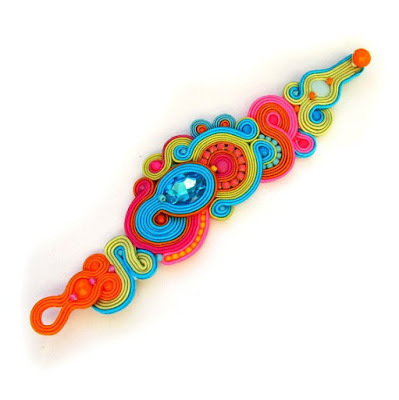 Now this is happy jewelry! The petite earrings are so cool - it looks almost impossible to squeeze in so much color into such a small shape!